A Bespoke Suit is sartorial artistry in all its splendour! The fabric is the canvas, and the tailor is the artist. Snipping the fabric from end to end and bringing the pieces together with those magical threads that give the suit the exact shape to fit your body perfectly! It is yours and it is only meant for your body because it is precisely customized to compliment only your physique. And that is the magic of a Bespoke Suit. The bespoke suit has a rich history and it was that rare thing that could be afforded by only a few men back in the day. Its legacy is rich because tailors in those days have dressed some of the richest and some of the most famous people in bespoke suits which were talked about, desired for and admired immensely as no ordinary man could afford it. Bespoke suits are held in high esteem in the fashion world because of the classy, suave and debonair look it gives its wearer. It used to take a tailor months to get a bespoke suit ready in the times of lore. 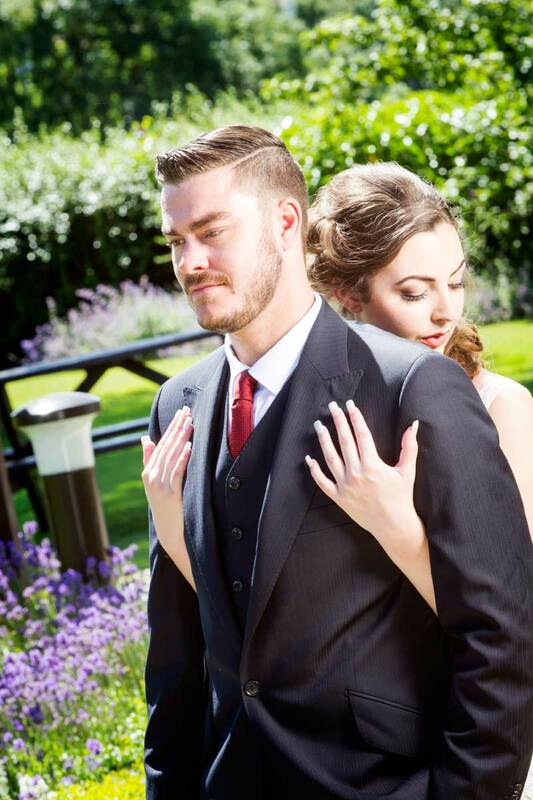 You could be anywhere in the UK, and have a custom made suit for yourself within 36-48 hours. Residents of Cambridgeshire, and nearby areas rejoice because you can walk into our fashion store in Peterborough, select the fabric material of your choice, allow us to take measurement and place your order. If you cannot come to us we would be happy to come over to your house or workplace to take your measurement. After taking measurement you can either collect your suit from us within 36 hours or have us deliver it to you anywhere in UK, within 48 hours. You are not available to meet up or you are not in UK? That is not a roadblock at all. Just allow us to guide you how to measure yourself over Skype or another video-chat program of your choice from anywhere in the world. After measurement and placing your order online we promise to deliver your made to measure suit anywhere in the world in less than 99 hours. Our great attention to detail and impeccable finish will reflect on the final product which we are sure will sweep you off your feet. It is a well-known fact that a well-dressed man creates a great first impression and it is not just for others that you have to dress well, when you dress well it instantly boosts your confidence. When you step into an office or a gathering knowing that you have dressed well and look good it is the scent of your confidence that sets all eyes on you. You may get appreciative glances and second looks from the ladies while getting envious ogles from men! You will be the topic of discussion for your great dressing sense. Good dressing commands respect, develops confidence and harbours desire in others who appreciate your dressing. Every man should have at least one bespoke suit in his wardrobe, it is an ultimate treat he gives to himself. Niro Fashion helps you achieve your desire of owning a made to measure suit with our team of specialists who have mastered the art with their years of experience. The essence of a perfect bespoke suit lies in its accurate measurements and cuts. 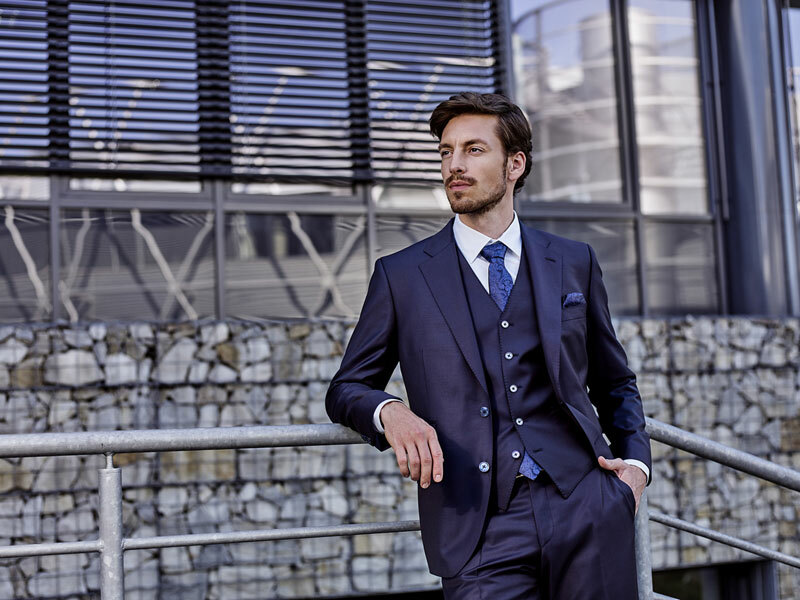 Our specialists possess the talent to study a body, understand the physique, take precise measurements, cut the fabrics accurately and stitch them together to make your perfect suit. They will also guide you to select the best fabric that will ultimately compliment you in the form of suit. Niro Fashion has been established for 30 years and has catered a myriad of clients. Niro Fashion believes in constant upgradation be it fashion, trend or technology, which has helped us establish our business globally. Technological advancement has been advantageous for us as well as our clients as it has broken all the barriers and allowed us to develop an ease of business with our clients. Our global clients can now order a bespoke suit at a click of the mouse sitting in the comfort of their home. We take an appointment with our clients and meet them on Skype or any other video chat program of their choice and guide them to take their measurements to begin the process of getting their bespoke suit ready. Get ready to take the world in your stride! © 2019 Niro Fashion. All Rights Reserved.